LOD is a connected and synchronized lamp. Each lamp blicks, pulsates, flashes, in sync with the other lamps. The lamps are connected wirelessly in a mesh-like network, potentially infinite, where each lamp can be up to 50m to the next lamp. The visual sequence of the lamp can be freely created by its owner, by just sweeping a lighter, a flashlight or a candle under the lamp. The sequence is immediately played by the lamp in loop, and sent to all the other connected lamps, which then play the same sequence in sync. 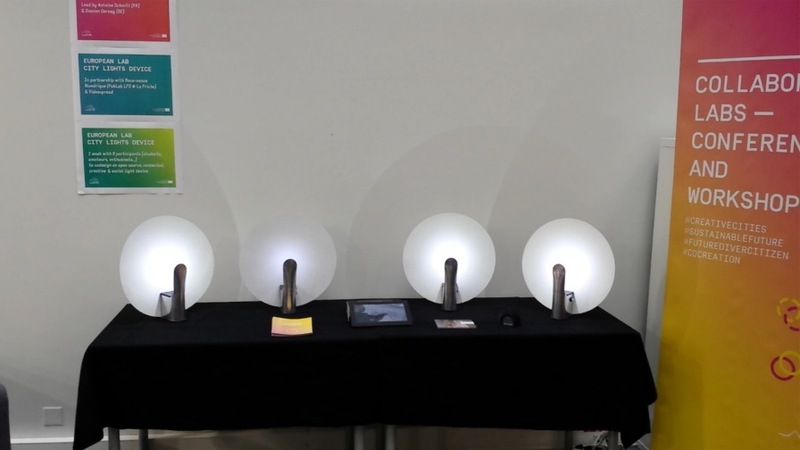 The intended usage of the LOD lamp is to create informal, parallel social networks, where messages, signals, presence is propagated through light signals. This can be urban networks of friends or neighbours, social networks in schools or prisons, pop-up events in social gatherings, etc.. 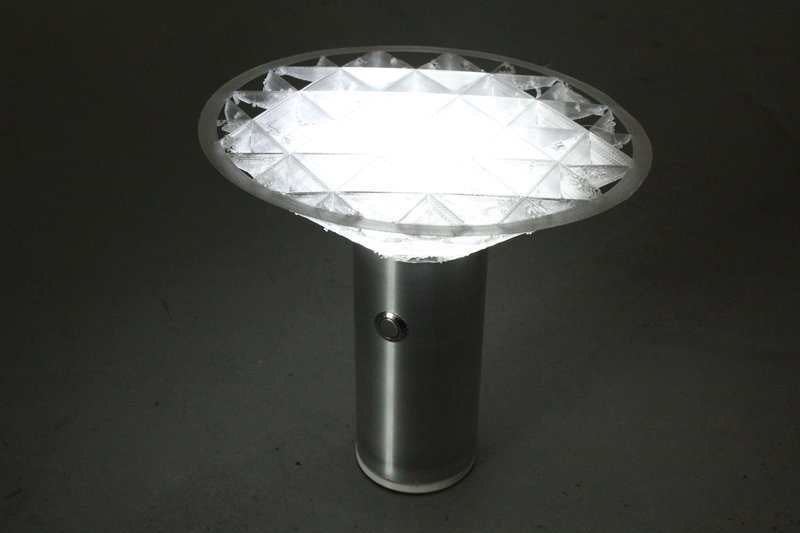 The CLOD lamp is designed to be used and misused. LOD is opensource (object design, behavior, electronics). It can thus be reproduced and modified for any specific usage. Workshops are programmed, to build new lamps, to learn electronics, 3D printing or Arduino-like programming, or to imagine new ways of using the lamps in specific social networks or areas, etc.. (contact us). LOD has been designed and built collectively during a workshop animated by Antoine Schmitt, Damien Gernay and the FabLab Reso-nance Numérique, in January 2017. This workshop was produced by Seconde Nature, Zinc and Videospread within the european project FutureDivercities, during the Festival CHRONIQUES Acte 3 – Révélations, in Marseille (FR). 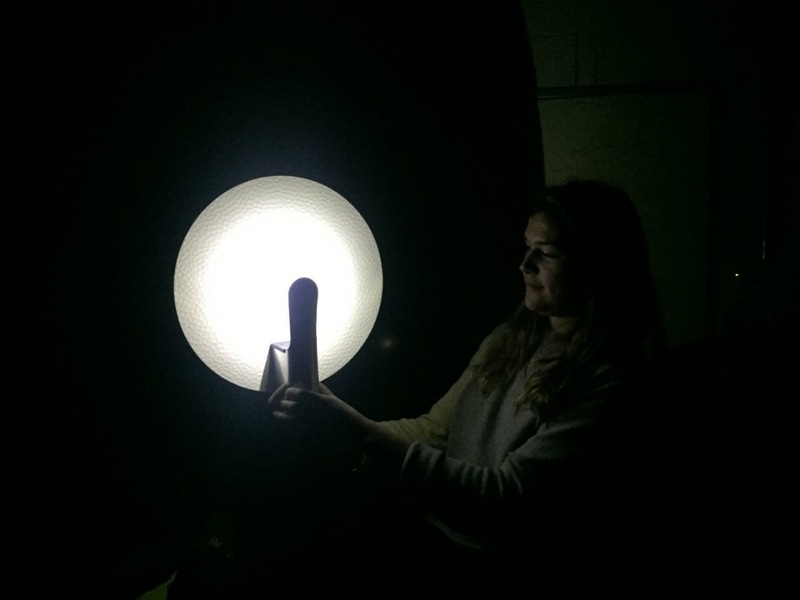 A second residency, at iMAL (Bruxelles) in september 2017, has made the lamp more opensource : cleaner electronics, design more reproductible, software cleaner.